Bowers and Wilkins P5 produces amazingly pristine sound but it also offers additional comfort and convenience with its wireless connectivity. 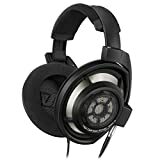 It looks high-end with its beautiful design and luxurious looking style, but this headphone is not all about looks, it also has a lot of other amazing qualities and substance behind it. The range of P5 headphones were designed to deliver a rich yet neutral sound that will not just boost the bass, but the objective is to deliver a well-balanced sound no matter what kind of music you are listening to. Their design makes them look smaller than most over the head models yet they fit snuggly and they are very effective in blocking out the outside noise. 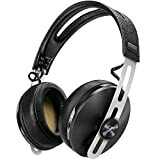 It is also lighter, making them very comfortable to use during a long listening session. The headphones in the P5 series are designed with drivers that could work similar to Hi-Fi speakers but with movements that are more controlled and precise. The ear pads are designed with a grille pattern that was acoustically optimized, that pattern allows the free movement of air through the ear pads to minimize the impedance. The P5 Series headphones were crafted using aluminum and leather from supple sheep to make sure that the user is comfortable and that their product is durable. These headphones were also designed with ultra-soft cushioning for your ears to feel extra comfortable. The ear pads are held into place using magnets so that it will be very easy for you to detach them when you change the cable or replace the ear pads. The P5 Series headphones are also very compatible with iPhone. These headphones produce precise and articulate audio that are crystal clear. Even though these headphones have closed back they sound amazingly open and P5 Series headphones also offer enough room for the instruments to flourish. The bass also sounds muscular and deep but the sound still remains agile and taut. The P5s are very light and compact, making them very easy to carry around wherever you may go; they really are perfect for portable use. The headphones from the P5 series look very stylish and luxurious but their beauty is not only skin deep. These headphones are wireless, light and compact, making them the perfect travel buddy. When it comes to the sound quality, headphones from this series produce a very clear, well balanced and a high quality audio performance. The P5 Series is the latest addition to Bowers & Wilkins classic noise cancelling headphones. It has a very luxurious looking design yet it also feels very comfortable. It was made using aluminum and sheep leather so it really looks aesthetically stylish. It fits snuggly to the ear that is why it is very effective in cancelling outside noises, letting you concentrate more on the music or audio that you are listening to. It is wireless, light and compact so you won’t have a problem taking a P5 headphone anywhere. The sound is spacious and open and its bass is powerful in a natural and controlled way.